DHCP Starvation is an attack that works by broadcasting vast numbers of DHCP requests with spoofed MAC addresses simultaneously. I used yersinia tool to perform the attack, this yersinia comes in built to your Kali operating system. Open terminal, type 'yersinia -G' and press enter. % The DHCP database could not be locked. Please retry the command later. Router couldn't respond, I had taken the below output after 10 mins. As you can see, all the IPs are assigned to Kali's duplicate DHCP requests. To stop the attack, click on 'List attackts' and Cancel all attacks. To secure our network from this attack, we have two options. 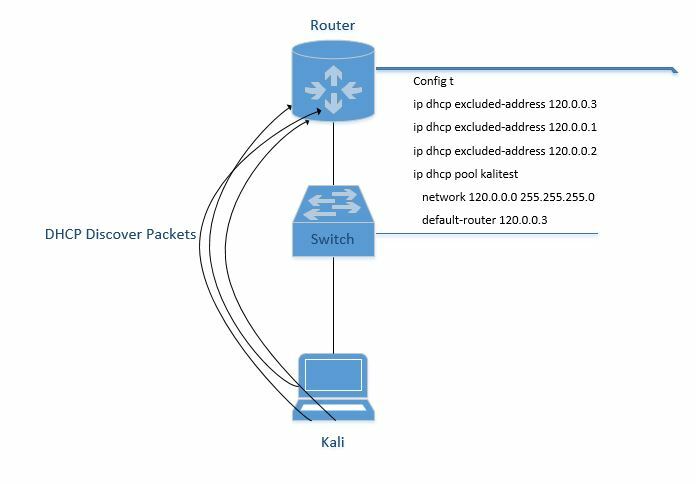 !Enables DHCP Snooping for Specific VLANs! !Sets the interface to trusted state; can then pass DHCP replies! !Sets rate limit for DHCP Snooping!